Kuala Rompin day charters are priced at 860 USD for a private charter for the 2017 -2018 season. Accommodations, room /board, however contact information & recommendations are provided upon request. Beer or other alcoholic beverages. To confirm any dates we need a 50% deposit, the balance is to be paid in cash before departure. If you for any reason can not come we will book you in for another available date without any extra fees. We accept PayPal and TT bank transfers for the deposit payment (PayPal and bank transfer fees is not included in our rates). Tioman Island day charters are priced at 1095 USD for a private charter for the 2017-2018 season, minimum charter duration 2 days. VIP Sailfish package: 2 days fishing - 2 nights accommodation: Cost for 2 anglers: 1970 USD (for upgrading to beach front private Villa add 100 USD). Cost for 3-4 anglers: 2180 USD (for upgrading to two beach front private Villas add 200 USD). Beer or other alcoholic beverages and meals at the hotel. 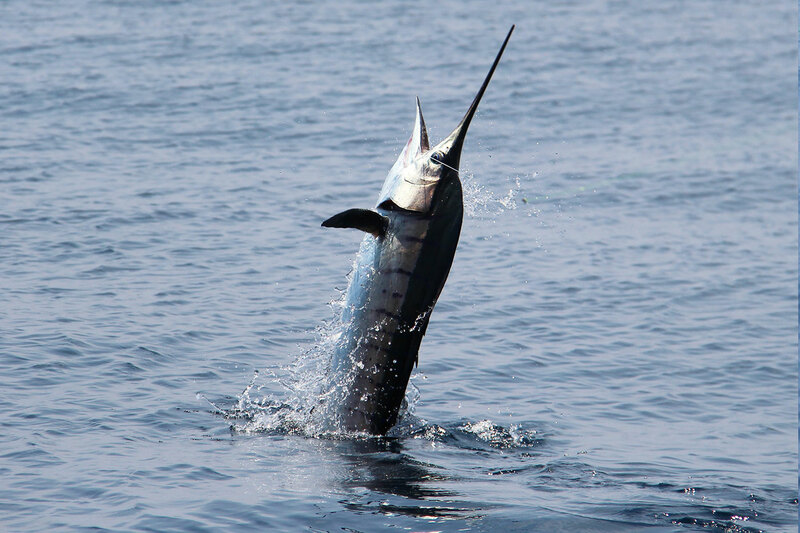 VIP Sailfish package: 3 days fishing - 3 nights accommodation: Cost for 2 anglers: 2890 USD (for upgrading to beach front private Villa add 150 USD). Cost for 3-4 anglers: 3120 USD (for upgrading to two beach front private Villas add 300 USD). 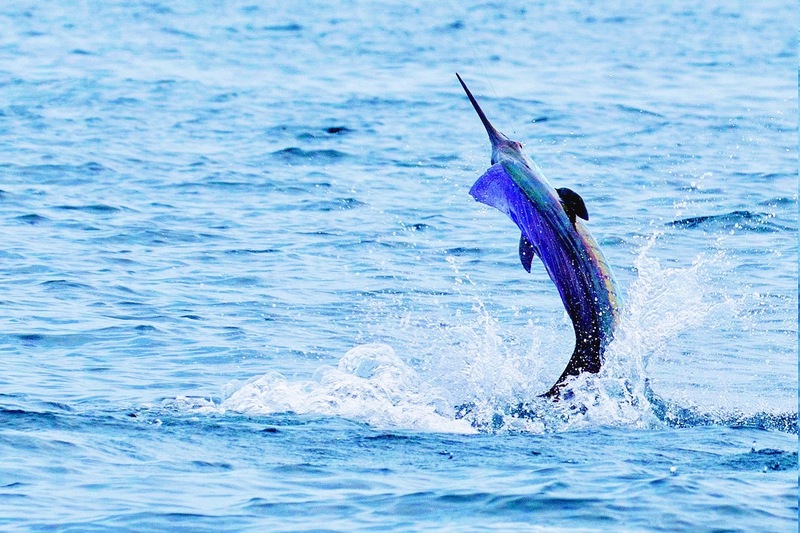 VIP Sailfish package: 4 days fishing - 4 nights accommodation: Cost for 2 anglers: 3935 USD (for upgrading to beach front private Villa add 200 USD). Cost for 3-4 anglers: 4150 USD (for upgrading to two beach front private Villas add 400 USD). VIP Sailfish package: 5 days fishing - 5 nights accommodation: Cost for 2 anglers: 5185 USD (for upgrading to beach front private Villa add 250 USD). Cost for 3-4 anglers: 5390 USD (for upgrading to two beach front private Villas add 500 USD). We can do longer packages and we can also arrange a combination trip with Rompin Sailfishing and Tioman Island Marlin-Dorado-King Mackerel fishing, please contact us here about costs and details. 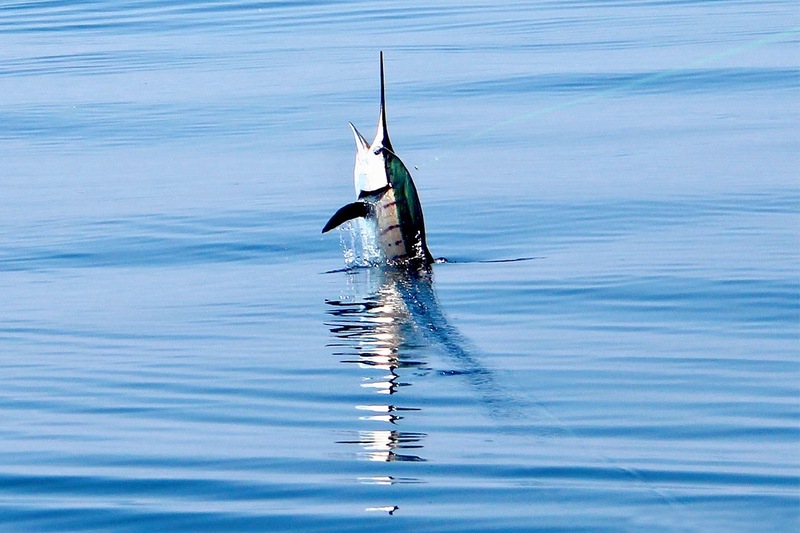 VIP Marlin - Sailfish - Dorado package: 4 days fishing - 4 nights accommodation. Cost for 2 anglers: 5660 USD cost for 3-4 anglers: 6610 USD. Visit: www.malaysia-fishing.com and www.mahseer-fly-fishing.com for more great regional fishing action © 2017 Magic Billfish Charters - All Rights Reserved.